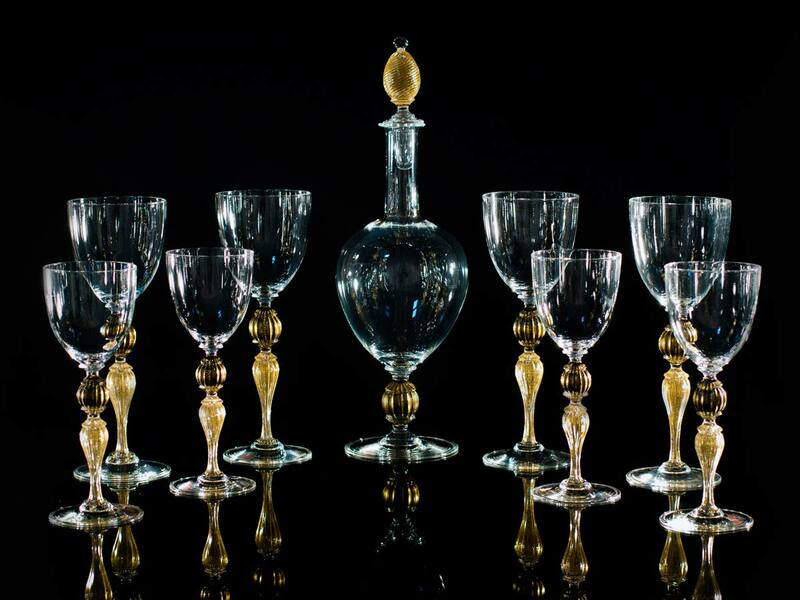 An elegant dinner table is the place for fine social living par excellence. Glasses adorned by precious gold leaf and exquisite etchings make special moments unforgettable. 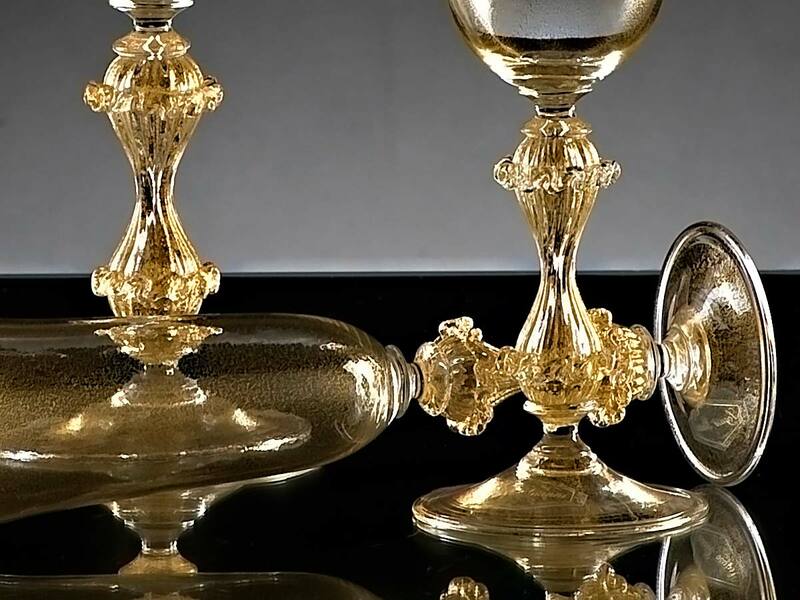 Since time immemorial, the destiny of the world has been decided by the great and powerful around shared meals and tables. 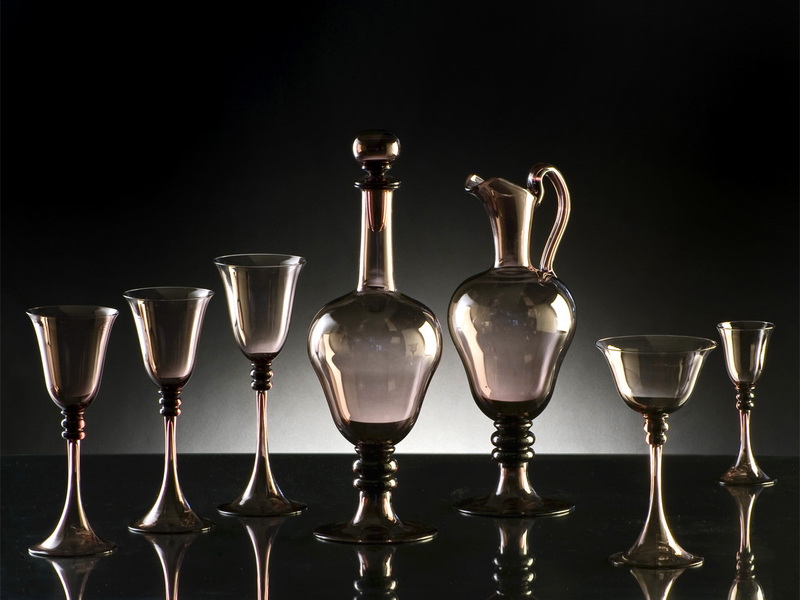 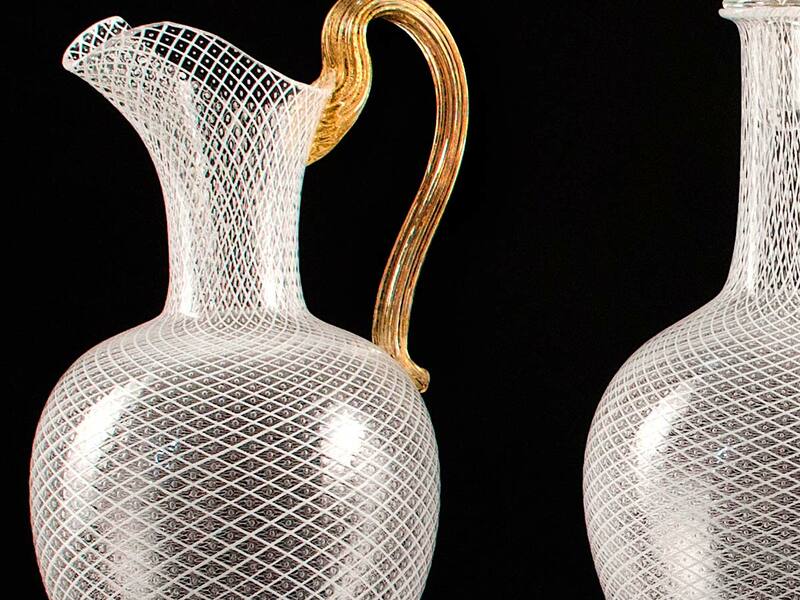 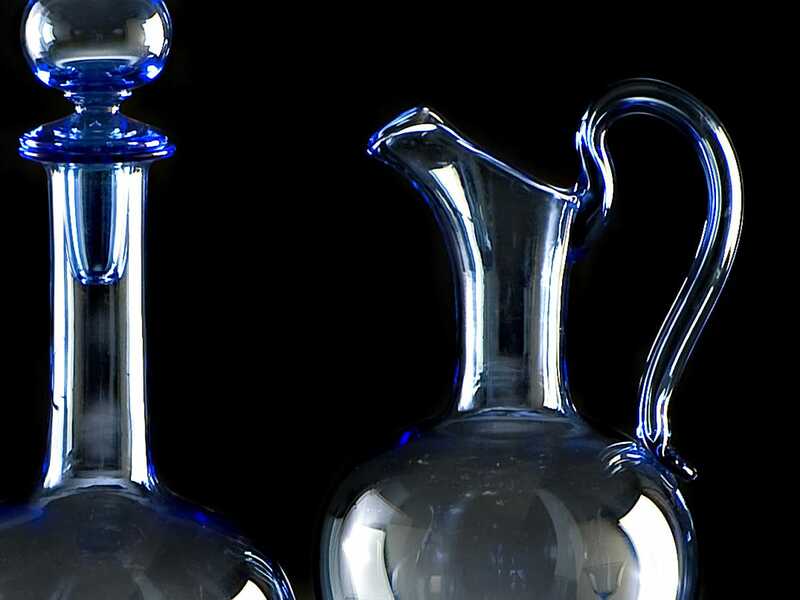 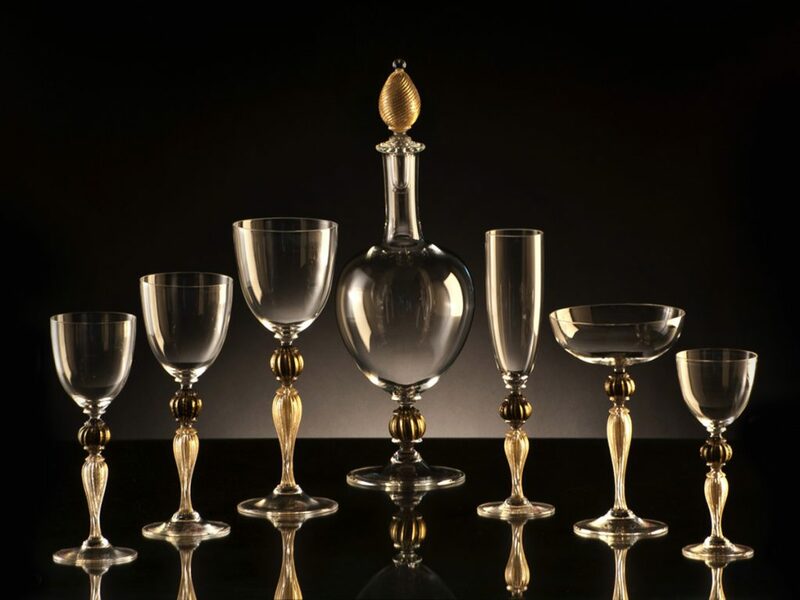 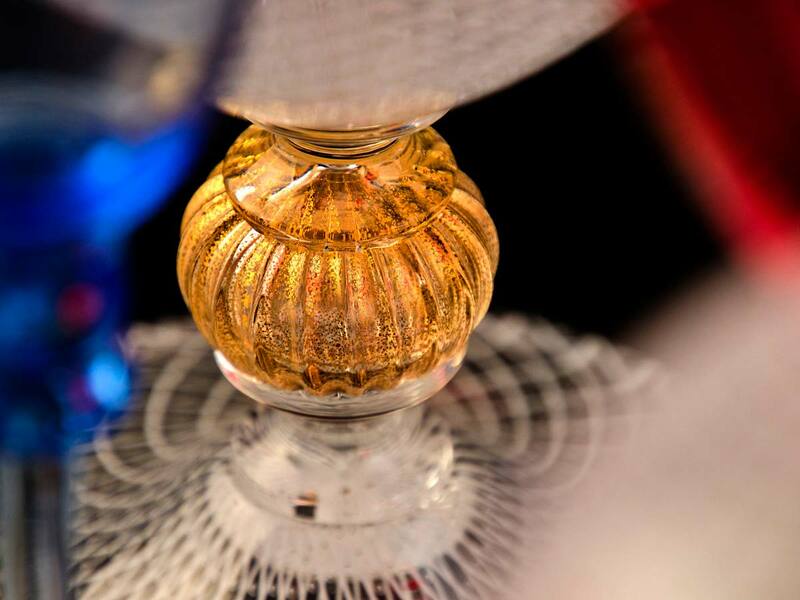 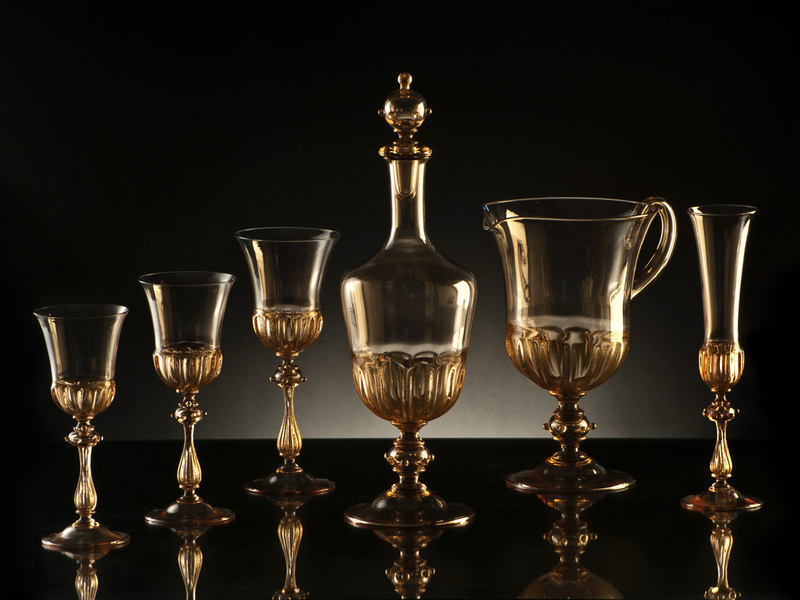 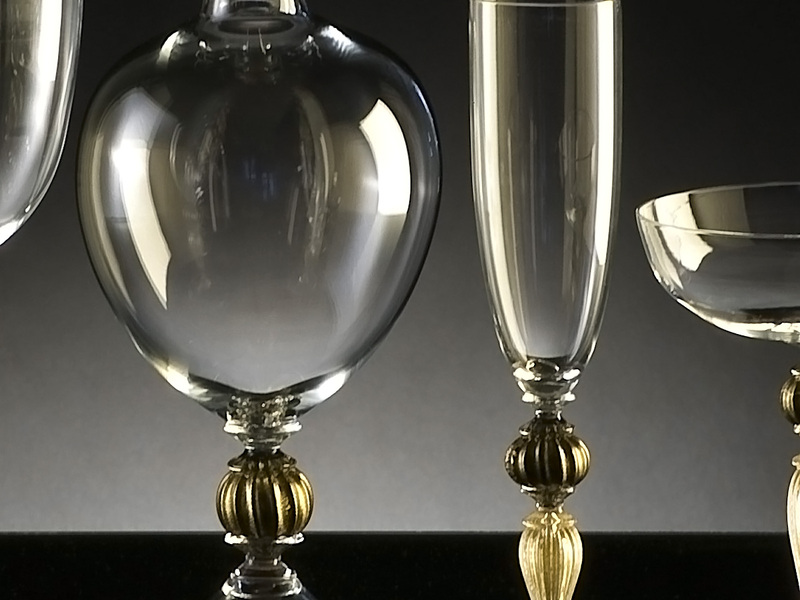 Today just as yesterday, Murano Glass is a central player in the great moments of history, ever present in splendid private dinners and official state luncheons. 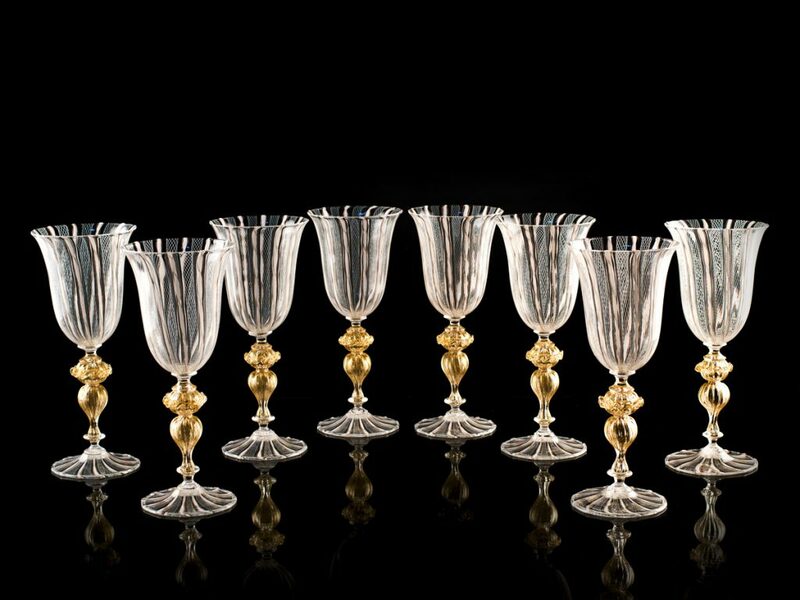 Glassware sets created by the Gianni Seguso masters decorate the most prestigious tables, accenting important life events or unforgettable celebrations. 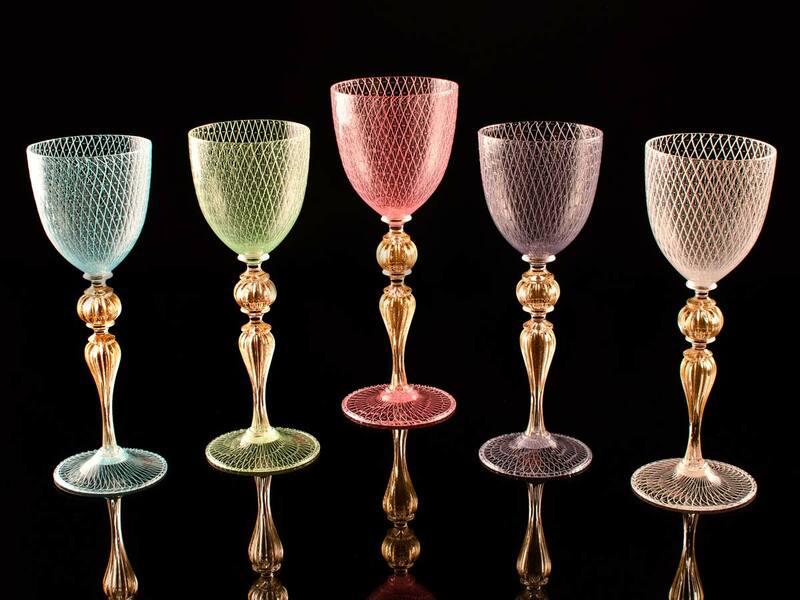 Glasses, pastry stands, goblets and centerpiece bowls sparkle in the hands of guests and table companions. 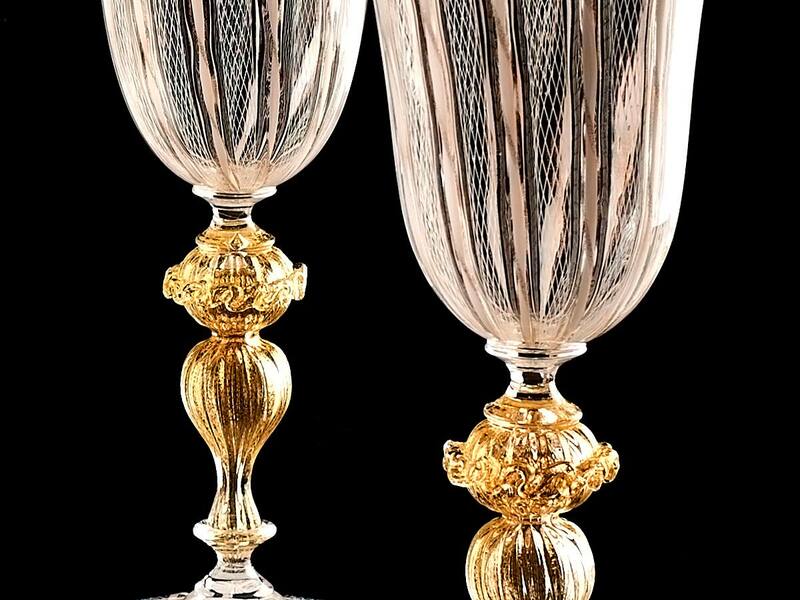 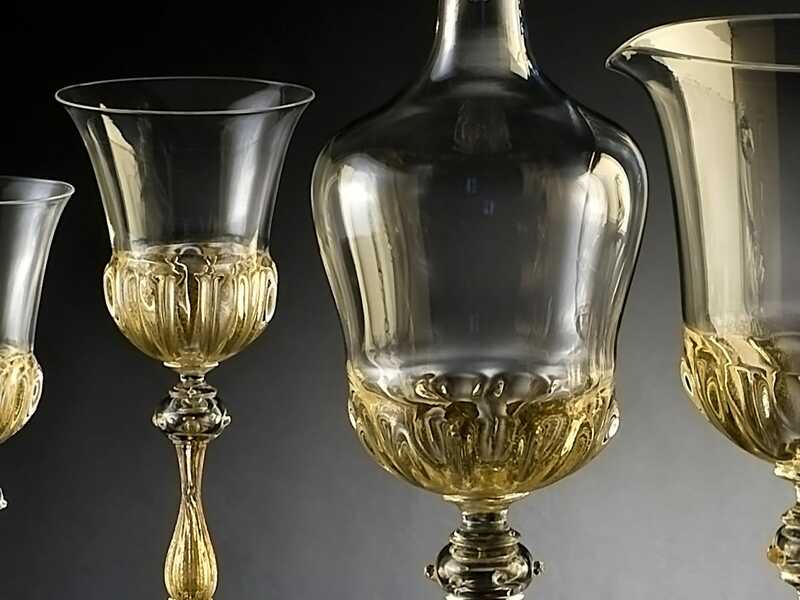 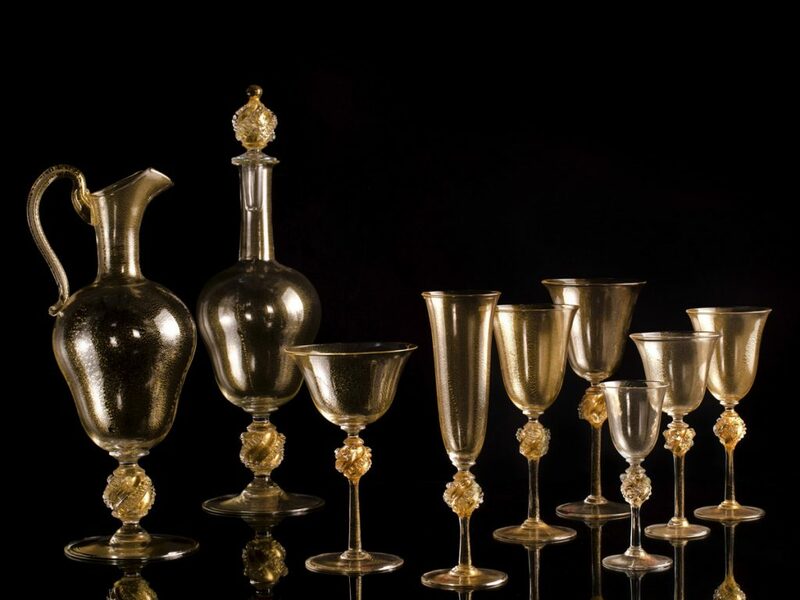 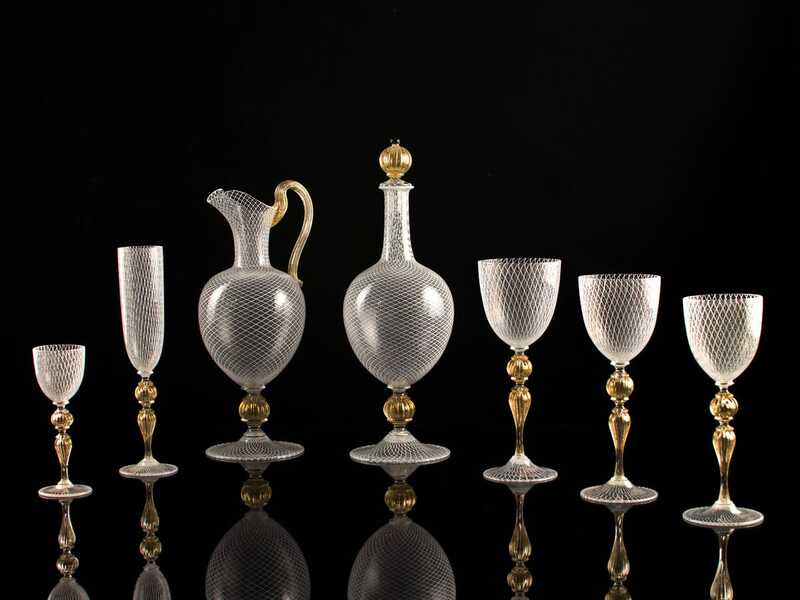 Heads of nations, princes and powerful businessmen make key decisions and reach agreements that change the course of history, always holding precious glass goblets and exquisitely etched mouthblown drinkware.